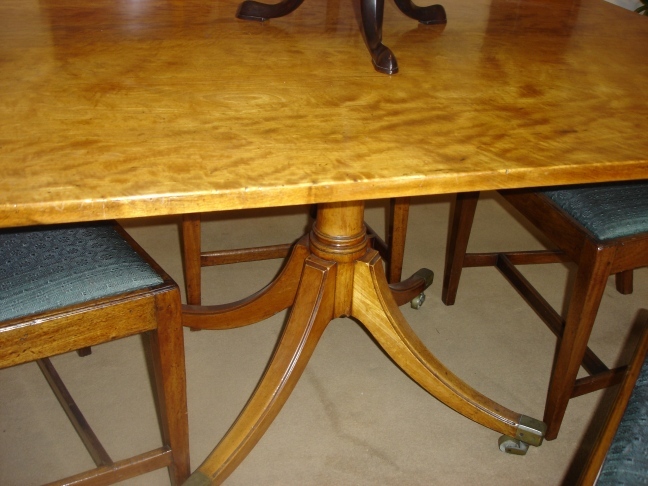 There are two main features, which characterise the 18th Century design that came to be known as an architect’s table: firstly a top that can be raised to different angles on a ratchet and secondly, a large drawer (occupying the whole of the front portion) that takes with it the front half of the split front legs when it is in the fully open position. The sloping top, which can equally well serve the needs of an artist or draughtsman, presents the drawing paper at a suitable angl; it can even, on the more complicated examples, have sufficient vertical adjustment to serve the user standing up. 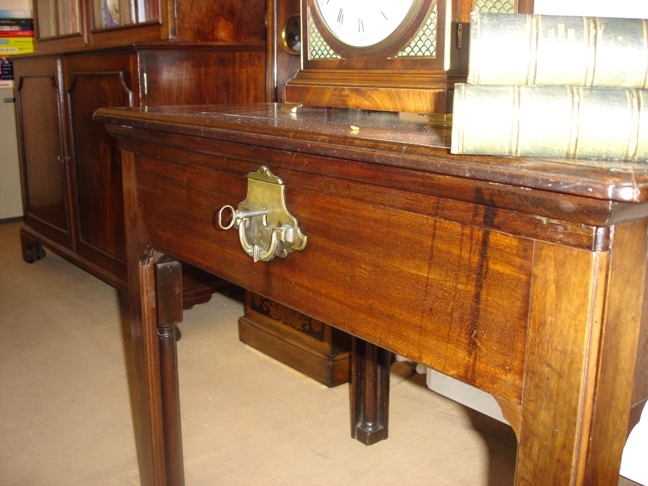 Ours is an unusually early example, George II around 1740,with the very dense, dark Cuban mahogany that typifies the period The design is utterly plain, with square-ection legs half-surrounding a turned colun and swing-out candle supports on either side. 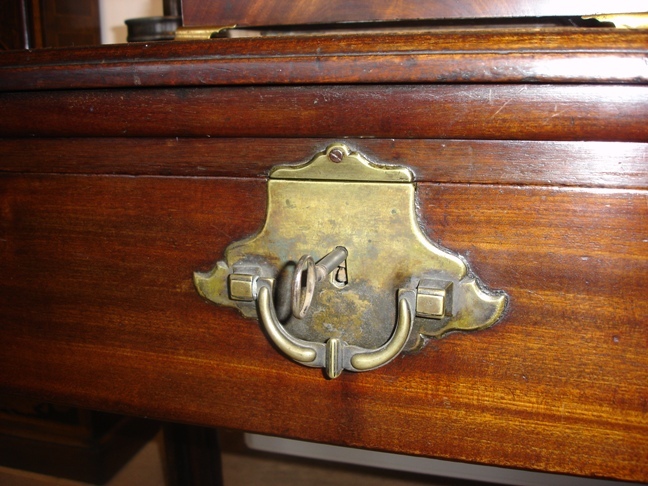 The main drawer has a baize sliding top to provide a horizontal drawing area with store below, and is centred by a massive handle and lock.